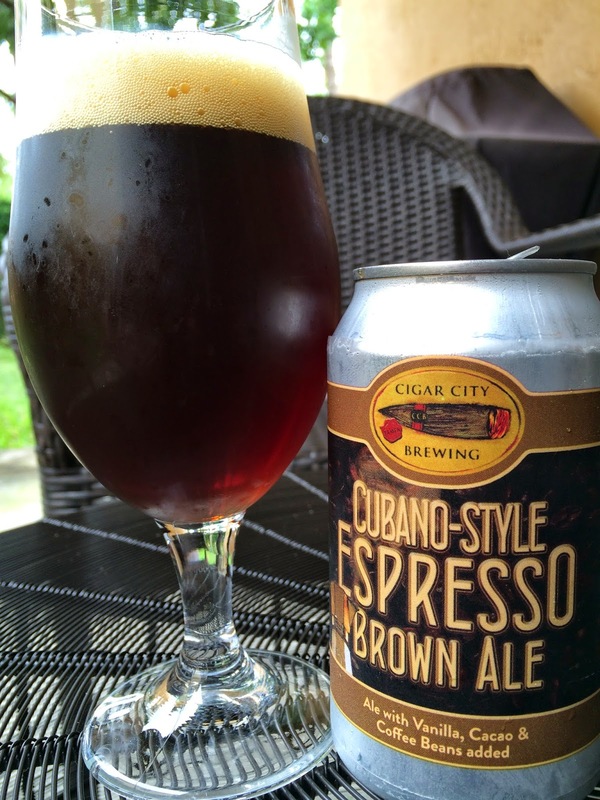 I saw one four pack of Cigar City's Cubano-Style Espresso Brown Ale a few weeks ago and decided to grab it. I didn't remember if I had tried it before or not. Apparently, I wrote this back in 2011 when they were still bottling this beer. This time, it's in a wrapped can that lost all the charm of the label art. Boo! 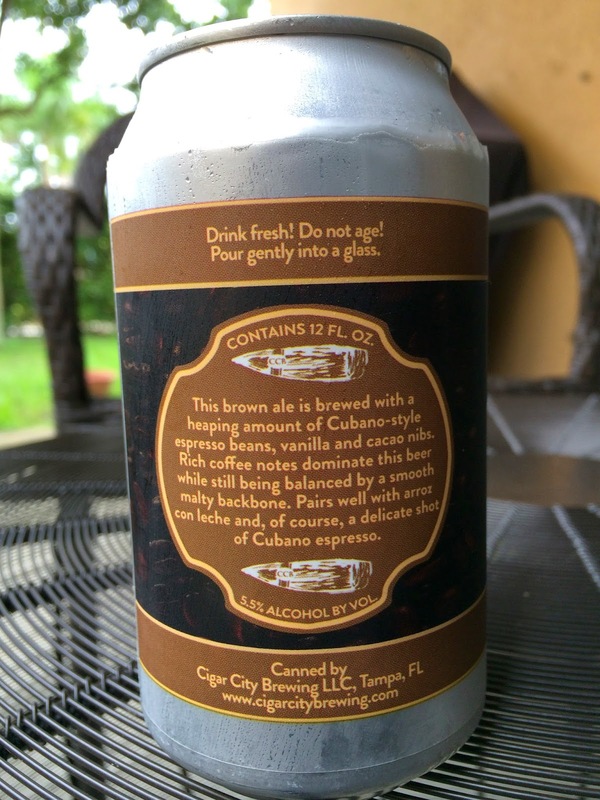 Brewed with vanilla, cacao and coffee beans. 5.5% alcohol. Great aroma: rich chocolate, wonderful coffee and a nice sweetness. Big mocha and chocolate flavors come first, riding a wave of creamy smoothness. Great texture! Coffee is present but not too big, especially considering the beer's name. Hints of vanilla also make an appearance as does a light roast. Body is on the low end while carbonation is low but fine. Nice flavors, though I honestly prefer the regular Maduro Brown Ale without any added twists. I just wrote a review of this beer, too. It's here. I figured the base beer was Maduro, but wasn't sure. Thanks for answering that in your review. We just had their Oatmeal Raisin Cookie on tap for Sud Swap at Gramps Bar. I preferred it to this treatment. Going to review that one soon.